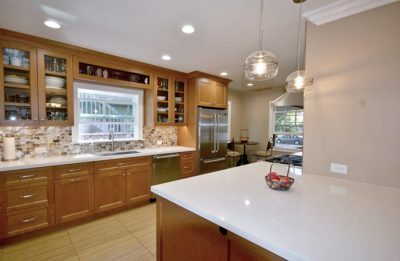 Transitional midtown Sacramento Kitchen remodel. 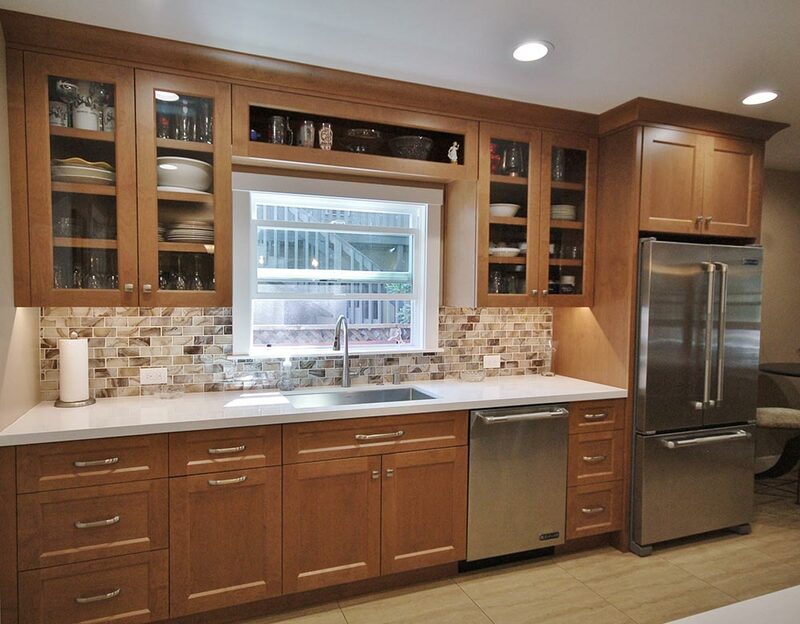 The use of Shaker door styling on the cabinetry keeps the traditional feel of this older home while the elegant glass tile back splash and the Danver floating stainless steel shelving add the touches of today’s more contemporary styling. 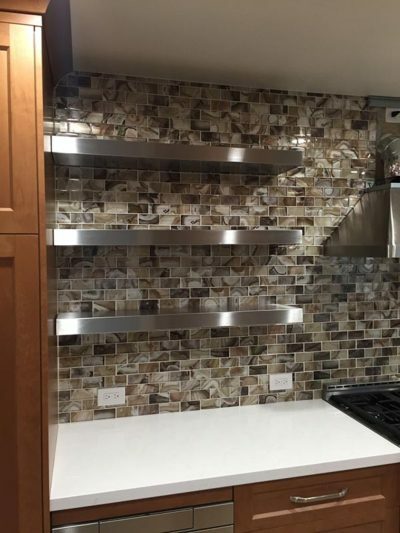 Appliance updates included a new wine refrigerator and under-counter microwave drawer. A portion of the wall was removed between the kitchen & dining room to allow for the new peninsula adding more storage. New recessed LED lighting and decorative pendants add light and style to the new open floor plan. 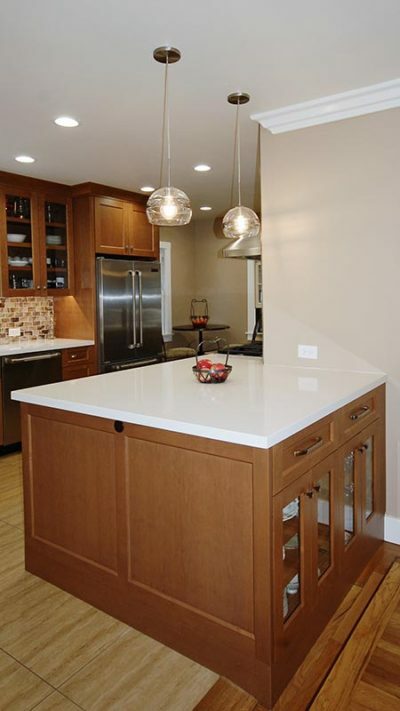 “We had a fantastic experience with Bradley Builders for our total kitchen remodel. Our 1929 house posed numerous challenges, but JT Bradley and designer Susan Broderick were able to come up with creative solutions. We love our beautiful new space. JT was upfront with us from the beginning and patiently took the time to talk us through every step of the process. The crew was professional and courteous — special thanks to Roger, Ellen, and all of the team. If you want your project done right by a team with experience and integrity, I highly recommend Bradley Builders.” – Kristin G.